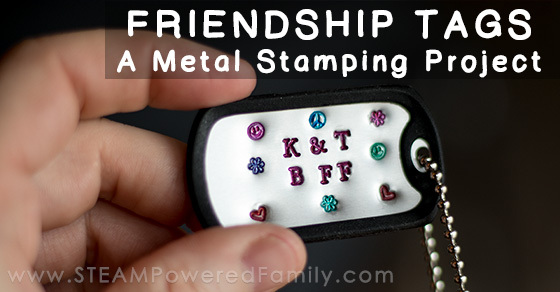 Friendship Tags - A Metal Stamping Project Kids Love To Hammer! 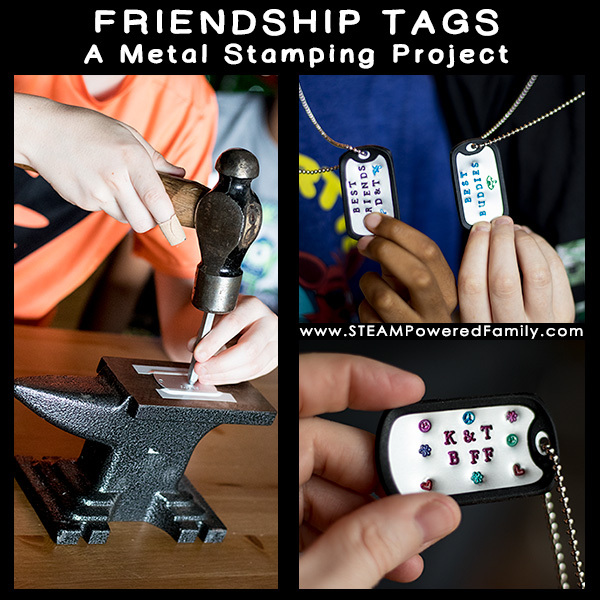 Friendship Tags – A Metal Stamping Project Kids Love To Hammer! 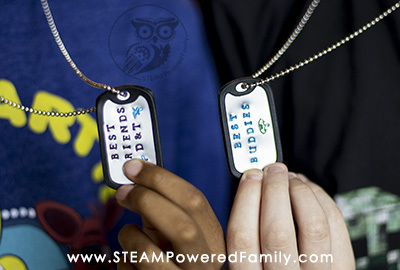 Friendship Tags – A new twist on an old BFF tradition has kids hammering their friendship into metal. Metal stamping for kids, great for tweens and teens. 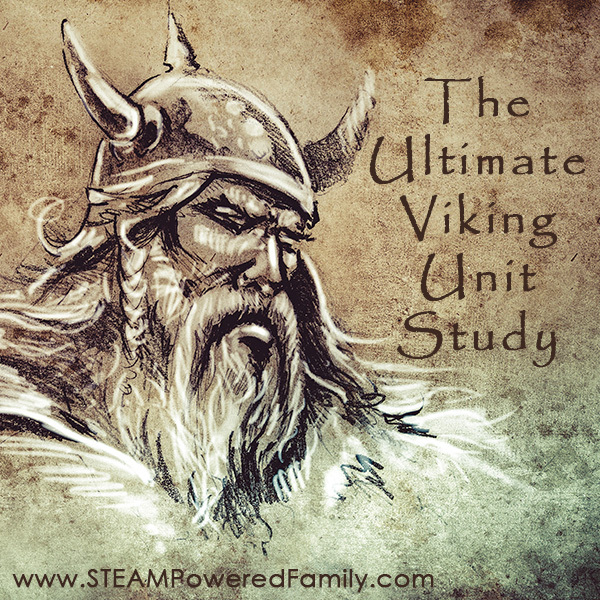 Get hammering! 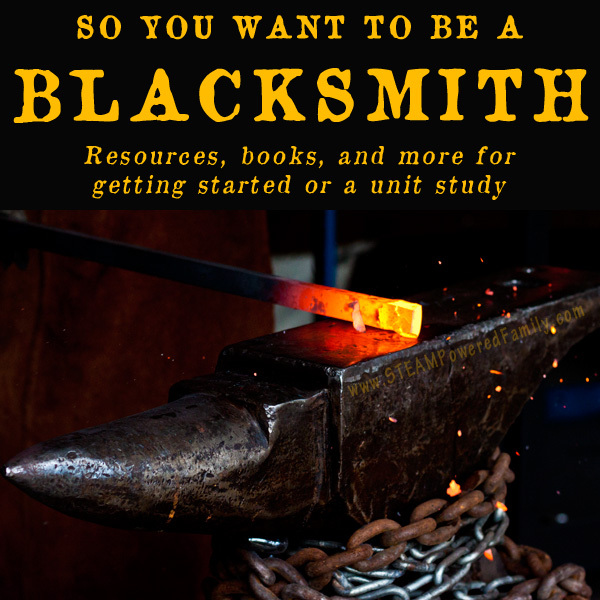 We are blacksmiths. Well, to be real, I prefer not to work with fire. I prefer cold metal work and let my hubs do all the sweaty, fire related stuff. It works for us and the business, since we can offer a diverse line of products for our customers. 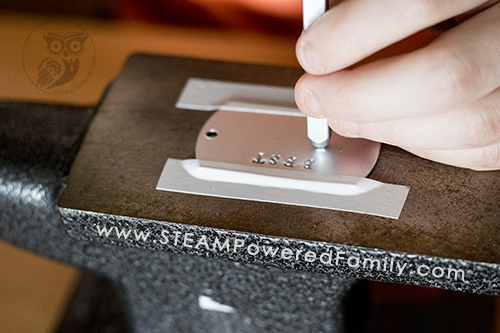 Metalworking has become very popular recently, and I often get requests for kid friendly metal works, so today I’m sharing one of our favourite projects, Metal Stamping and creating Friendship Tags. 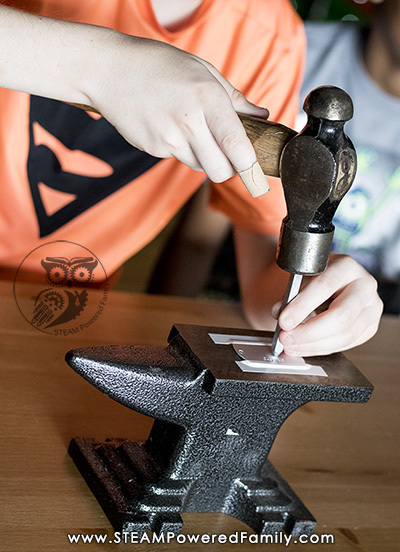 Metal stamping is best for tweens and teens. It requires a fair amount of strength and coordination. Plus, if you have ever hammered your fingers, you know how much it can hurt! Metal stamping definitely has a high risk for hammering of fingers, so use your common sense when deciding if this project is appropriate for your children. Metal stamping is literally hammering words and designs into metal. 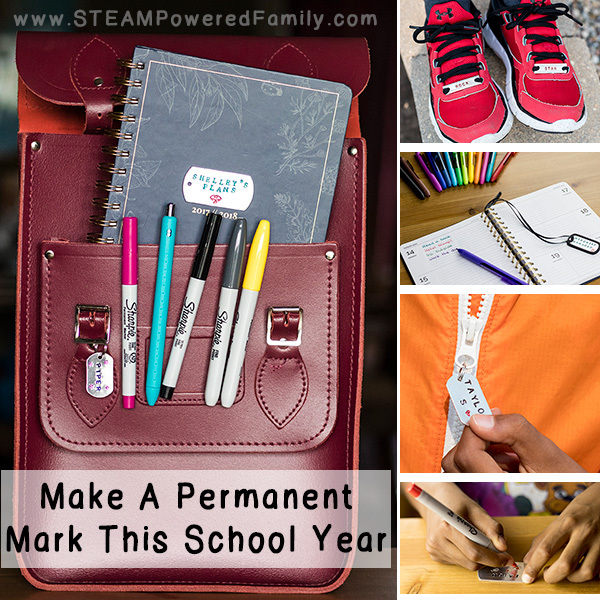 It is a fun, creative project that kids can customize to their own personal tastes. The products also make fantastic gifts. In this specific activity we were making Friendship Tags for the boys as one of their summer projects. Traditionally, friendship bracelets tend to be somewhat crafty and don’t have a lot of appeal for boys or girls who like something a little tougher looking. Metal stamping is the perfect solution. 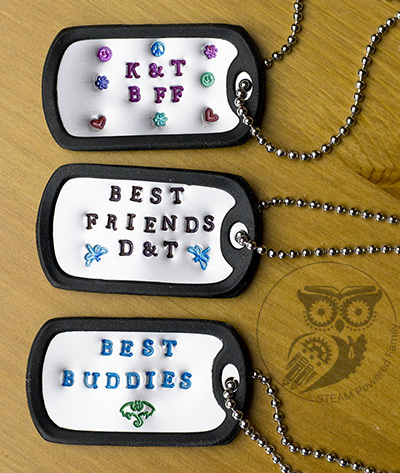 In this activity, the kids are making dog tags with friendship messages. Getting started with metal stamping is not cheap. But the good news is that you can reuse most of the supplies over and over again. Metal stamping is great for schools, camps, groups and more. Plus you can save money buying the supplies in bundles. I’ve shared a few bundles here. Just click the image for more information. I have many different letter stamp sets, but the most versatile one I find is the Uppercase Newsprint. If you are going to get just one set, I recommend that one. 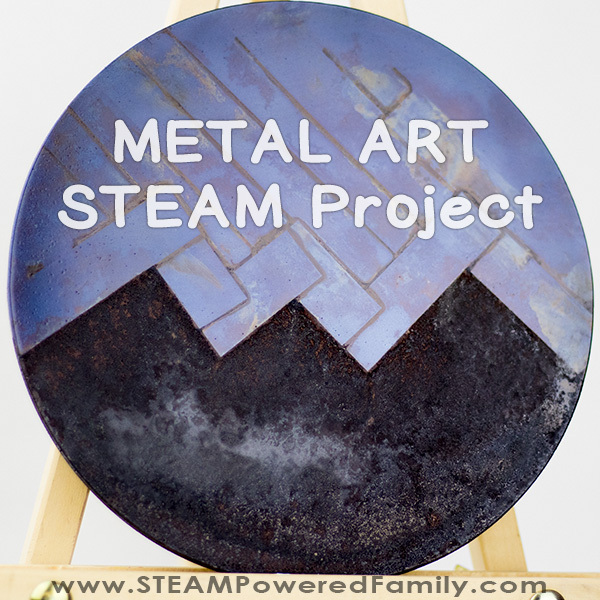 There are many, many other metal stamping products you can buy, but this is my scaled back, kid friendly version to help you get started. First, practice yourself. There is a technique involved. You need to make sure the letter stamp is perfectly straight and that you hit it straight on with the hammer. It also takes a fair bit of strength to hammer, and learning how hard you need to hammer is important before teaching kids. Tip: With the stamps I recommended above, the letters are engraved on the shaft and should be under your thumb when holding the stamp to ensure it is in the correct orientation. Learning this trick will help ensure you don’t end up with upside-down letters! The first step is to set up your anvil on a solid surface. Make sure it is a table you don’t mind getting damaged or dinged up. Take your dog tag blank and tape it down on the anvil. Place tape along the top and bottom. For even more guidance, you can tape off just the one line you are stamping. This can help you keep your letters straight if you are struggling with crooked letters. Plan your stamps! On a piece of paper write out your words. Plan how you want to align them on the dog tag. Keep in mind space is limited and you need to leave the edges blank to accommodate the silencer. Especially when you are starting, short and sweet is best. Align your letters and find the middle letter, circle that letter. Now it’s time to start stamping. Find the middle of your dog tag, I often place a little mark on my tape so I can see the centre. Pick out your middle letter and stamp that letter on your centre point. I know it seems strange to do stamping this way, but it really helps keep your words centered if you start in the middle and work out. Now continue stamping letters working to the right. Once you have those letters done, go back your middle point and work out from the middle to the left. So for example, when stamping the word “BEST”, I’m going to stamp the letter S just to the right of my centre, then stamp the T. Then I will go back and stamp the E just before the S and finally, stamp the B. This is why it is so helpful to have your words planned out on a piece of paper. Once you have your words all stamped you can add some decorative stamps. The letter sets often include some designs, or you can order some special ones. Now you have your metal stamped, it’s time to make those letters and designs POP! There is professional inks you can buy and use, but I try and keep things simple for kids. Instead, I recommend using an Ultra Fine Sharpie. The darker colours will show up the best. Simply trace the indents left by your stamps. If you miss, immediately take your polishing cloth and buff like crazy to remove the extra ink. When you are finished, give your dog tag a good rub with the polishing cloth to remove ink from any of the high points. Tip: If you are slow at filling in the indents, stop and polish during the process, rather than waiting until the end. Once the ink dries, it is very hard to correct any mistakes. Finally, slide the silencer over your dog tag and string it on the chain. Your Friendship Tag is now all finished!